It is not an exaggeration to say that social media is the future of marketing. Approximately 83% of Americans between the ages of 18-49 use social media today. Considering that social media is a platform that is generally free of charge, there is so much any business can do with it, budget and experience notwithstanding. The question, as it always is with the inbound marketing methodology, is how can we be using social media to please our potential and existing clients? Repeat after me: Social. Media. Is. Not. Free. Advertising. Glad we got that down. This is not about you; it’s about your visitors, your leads, your existing clients and people who have never heard about you but should have. They want to know what you can offer them, not the other way around. It is also not the time and place to be lazy. Yes, good social media marketing doesn’t have to cost dollar bills, but it will cost time, effort and planning. Technically, you can put all your social publishing on autopilot and forget about it. But that won’t get you results. People aren’t stupid. They can tell whether or not you put in any effort, and whether or not you care. Making your social media game plan involves two steps: one, what are your goals in this campaign? And two, how are you going to achieve that? Goals: Results don’t just happen. Just getting on Twitter and posting what you ate for breakfast in under 140 characters won’t get you anywhere. Identify what it is you’re trying to achieve with social media, and make it specific. Are you trying to promote a new product? With this post, are you trying to increase the product’s presence on social media, or are you trying to increase revenue from it? Make it specific. The only way to know whether or not you have been successful is by identifying what success means to you and your company. Means to Achieve Your Goals: This is when you pull up your buyer personas. Who are you selling to, what content do they want to see, and what social networks using? Depending on what it is you’re marketing, you’ll want to think about which platforms your audience is using for business and personal use; for browsing and for making purchases on. Do they use Facebook for keeping up with family, and Twitter for current events? This will all make a difference to what is being posted where. Also keep in mind here that different social media platforms have different tones and varied purposes. Mass-producing your posts across channels is not the way to go. I just said it- every social media network is different, and therefore, your content should be different, too. There still are, however, across-the-board practices that can (and should!) be used for any of those channels. Be Interesting. You know the base group that you are targeting. What can you post that will be helpful to them? Post crafted images and share links to articles your persona will be attracted to. By the way, images is a big one- graphics can capture the eye in a way that words can’t, and it can give over its message in a few seconds. Do they value illustrations, or is masterful writing the way to their hearts? To make sure your posts are worthwhile, consider whether or not followers would repost. If it’s just pushing your product or service, chances are that no one is hitting the “share” button. Be Personal. Brands are often viewed by consumers as formal and distant. 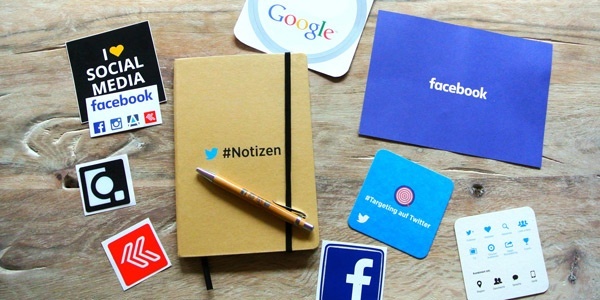 Social media is your chance to show that companies are human, too! Employing humor is a great way to delight viewers. Don’t take yourself too seriously- poking fun at your brand means social media engagers are laughing with you instead of at you. Depending on your company and on the social platform, try posting pictures of your team having fun in the office, or give a happy birthday shoutout to one of your employees. Be Helpful. Customer service is changing with social media. No longer are people expected to wait on the phone for hours on end to speak with a customer service representative. Instead, people are reaching out on Facebook, Twitter and the like with the expectation of immediate response. Be on guard and willing to supply that! Encourage Engagement. Social media is valuable because it allows you to receive instant responses from consumers. Use that wisely! Besides for the fact that it lets you get into the head of your followers, it creates a connection, which builds trust. Ask for opinions on your posts, or share your story and ask them to share theirs, as well. Create contests, and reshare customer’s posts that relate to you (with permission, of course). Reply to all comments and engage happy customers by having them as a guest poster or blogger. Be Involved. Be involved in something bigger. Partnering with a charity or aligning with a movement that matters to your persona increases your credibility and relatability. Address current events, and if your company has a way to help, share your advice (not being pushy, of course). Remember: quality over quantity has merit in social media marketing. It’s nice to have a lot of followers, but it’s nicer to have a smaller amount of engaged followers who read, like, comment and share your content. These are the people who are likely to generate leads and become customers. Social media is a big topic in content marketing. Every social media platform (Facebook, LinkedIn, Twitter, Instagram, Pinterest, Snapchat, etc) deserves and could fill up its own blog post. This rundown will help you get started on your own successful social marketing campaign!